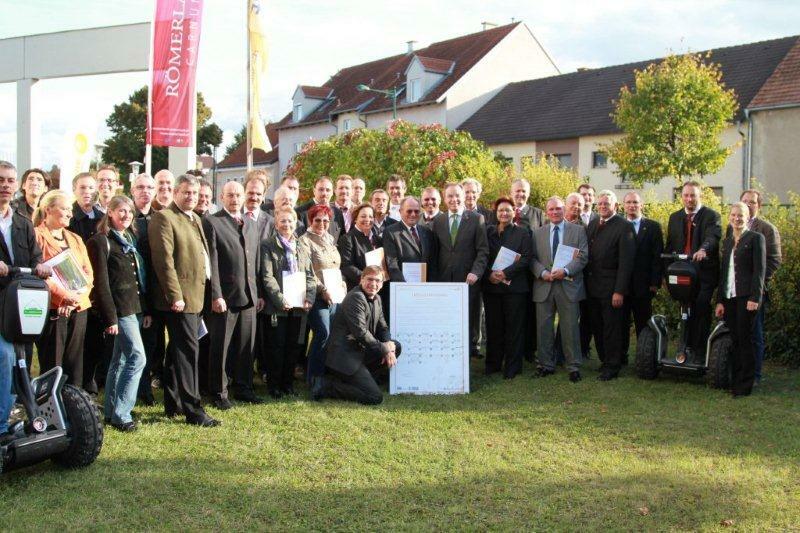 On October 15th 2011, 27 municipalities, with a population of 74,803, signed a commitment to create a Renewable Energy Region. Head of the district authority, Dr. Stephan Pernkopf, said that the nuclear disaster in Fukushima has shown us the dangerous and unpredictable side of the technology and the urgent need to push forward to renewable energy. He explains that Niederoesterreich has been very successful with developing renewable energy for years and that initiatives like Roemerland-Carnuntum are trendsetting and create regions that have energy autonomy. In the last 10 years, the region developed several renewable energy projects, using technologies like windpower and biogas to generate close to 50% of electricity demand and 10% of heat demand from renewable sources. Going forward, the region will focus on raising awareness among individuals and businesses, insulating buildings to save energy, distributed installation of solar, wind and biogas projects wherein the consumer is the electricity producer, and developing the renewable and electric mobility future.